Now available in very limited quantities, Nantucket Bangles are resin reproductions of the scrimshaw fossilized mammoth ivory originals that i launched at Barneys New York and Bergdorf Goodman. 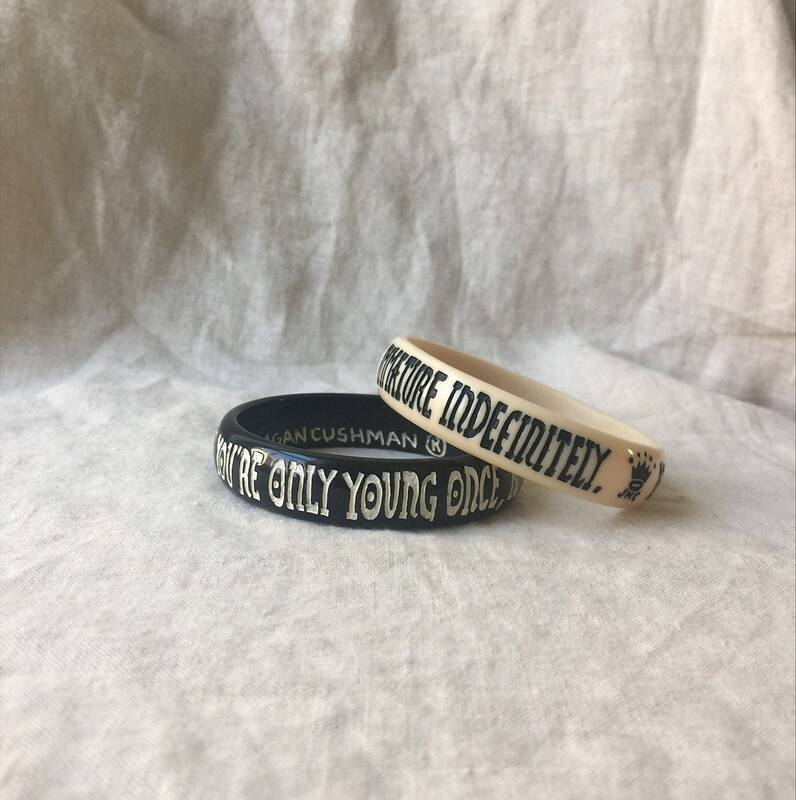 “You’re only young once, but you can stay immature indefinitely” is available in black with ivory writing and ivory with black writing. This bangle measures 5/8” wide and they all measure approximately 2 1/2” across the inside. Love it and keeping a sharp eye out for the next deadstock release!